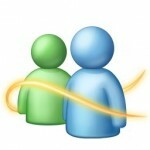 Windows Live Messenger giving you an annoying “Signing in to Windows Live Messenger failed because the service is temporary unavailable. Error Code 8100030d” error message? Here’s the solution on how to fix it. 2. If you have Zone Alarm, windows firewall or other firewall installed and enabled, make sure that they don’t block WLM to connect to the internet. 3. If the above 2 method still doesn’t help, then goto C:\Documents and Settings\UserName\Local Settings\Application Data\Microsoft\Windows Live Contacts and delete everything (folders, files, including hidden ones) in that folder. This method in particular has helped me solve the problem. I have also wrote previously about how to fix 80048820 messenger error. Well after much playing and frustration I have finally gotten my MSN to work. None of the solutions above helped except for number 3 but after logging off and trying to log back in same problem again. Anyhow what finally fixed it for me was removing the show whats playing in MSN dll from winamp. This probably sounds funny to me at first but I have also read that *some* people got out of this trouble by shutting down and restarting their router. See if that helps. None of the above works. I’ve reregistered some msx file, downloaded it again, loads of stuff. Using WinXP SP3. I’ve wasted so many hours of my like thanks to the incompetent Microsoft swine. I originally downloaded a slightly older version but it said I had to download latest version!! Does anyone have any other suggestions? If anyone had my problem and they just can’t get MSN Live Messenger to work, despite all the suggestions, or they’d rather give it a miss, I found a pretty good free alternative that worked first time, and it’s open source. It’s called aMSN, available for free download at amsn-project.net/ . It’s less bloated than MSN Live and is a much quicker and simpler installation, with optional downloadable plug-ins. I’ve discovered an inadequecy about aMSN that I recommended in my previous post. Unfortunately, at this time of posting it lacks connectivity with Yahoo, so unless you only deal with MSN contacts, forget it for now. As you read this, it may be worth checking the aMSN website to see if this feature has been added. Thanks! The 3rd method worked~!! Thanks for the input, Jack. someone who knows what theyre doing. I love you! You took me out of a huge misery. I was thinking i will have to format and re-install the operating system. Thanks once again! but will the problem return after i restart pc? Don’t worry, just restart as usual and you should be fine.